Montefiore Health System and Albert Einstein College of Medicine have been selected to be part of the White House’s inaugural Precision Medicine Initiative Summit. 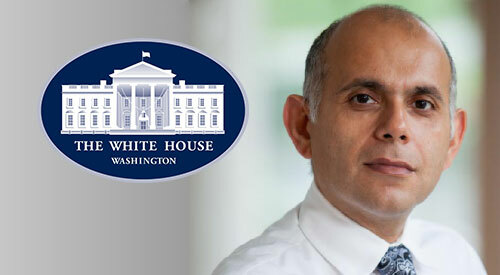 Parsa Mirhaji, M.D., Ph.D., director of Clinical Research Informatics at Montefiore and Einstein is among an elite group of healthcare leaders from across the country who will participate in a roundtable today at the White House. The event will focus on efforts to integrate biological, clinical, environmental, and administrative data to advance innovations in research and improve the delivery of healthcare. Dr. Mirhaji, who also serves as research associate professor of systems & computational biology at Einstein, has helped pioneer Montefiore and Einstein’s “semantic data lake,” which makes it possible to take de-identified patient generated data, to improve personalized therapies and identify what can be done to improve overall health outcomes at the community level. Most importantly, it enables an engaged environment where patients can easily access and review their personal health data, and be better informed when participating in in the clinical decision making process with their healthcare providers. Since President Obama launched the Precision Medicine Initiative in January 2015, the Administration has focused on advancing its goals of ushering a new era of medicine that delivers the right treatment at the right time to the right person. The Summit, which will be webcast live at www.whitehouse.gov/live will feature the President discussing precision medicine efforts and the next steps in continuing to build momentum and collaborations.